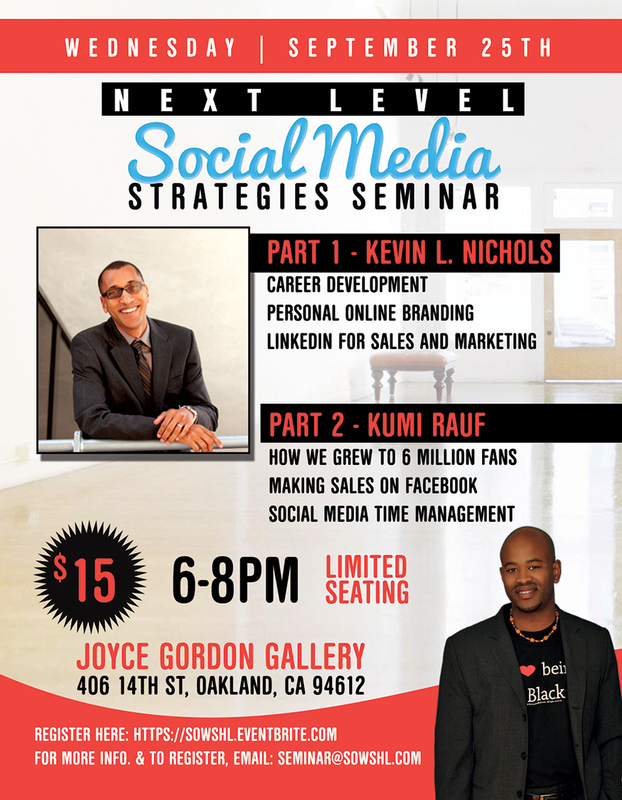 Learn strategies that will help you succeed in social media. In this seminar we will teach you how to network your way up the corporate ladder, grow your own business, fine tune your branding and increase your social sales. If you are a novice or an industry professional, this seminar will equip you with an effective combination of knowledge and tools that will catapult you ahead of the competition by teaching you creative ways to engage your audience. This first seminar in the series is being offered at an unbeatable rate by two experts in the field with a trusted track record of industry experience. At the end of each of each half, there will be room to answer your specific social media questions for your business. ** Photographer Auintard will be taking LinkedIn / Facebook profile headshots for free! Due to the limited seating there are no refunds.